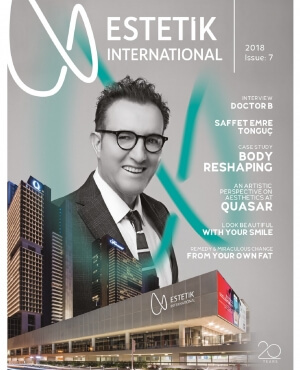 Hospital stay for aesthetic operations after weight loss It depends on which post-weight loss aesthetic surgery you have undergone, your general health status and you. In cases of outpatient treatments of cases with fewer procedures, you may be allowed to be discharged on the same day or you may have to stay longer. When more extensive surgeries are performed, your doctor will ask you to stay for at least one night and probably up to a week for evaluation. Throughout this process, you can rest assured that you will be taken care of by our professional nurses and doctors at our hospital. Since the main purpose of these aesthetic procedures is to remove the sagging excess skin from the body, incisions are obligatory. However, the incisions are strategically placed and suture techniques suitable for this surgery are used. Before deciding on these operations, it is very important that you have a clear idea of how the scars will look after they are completely healed, and that you get information about it from your doctor. Almost all of our patients indicate that they prefer incisions rather than a sagging skin layer. • Applying consistent pressure on the scars by using elastic bandages or the special corsets ensures that the result is much better. With the recommendation of your doctor, you can use these products for 6 months to 1 year for therapeutic purposes. • You may apply silicone gel, cream or bandage that your doctor recommends to your scars and you can continue this treatment for at least 12 hours a day for at least six months. • Different stem cell or steroid injections can smooth out the scars and soften their appearance. • It is a fact that laser treatments give extremely effective results on incision marks. Then you can start this treatment again with the session intervals prescribed by your doctor.